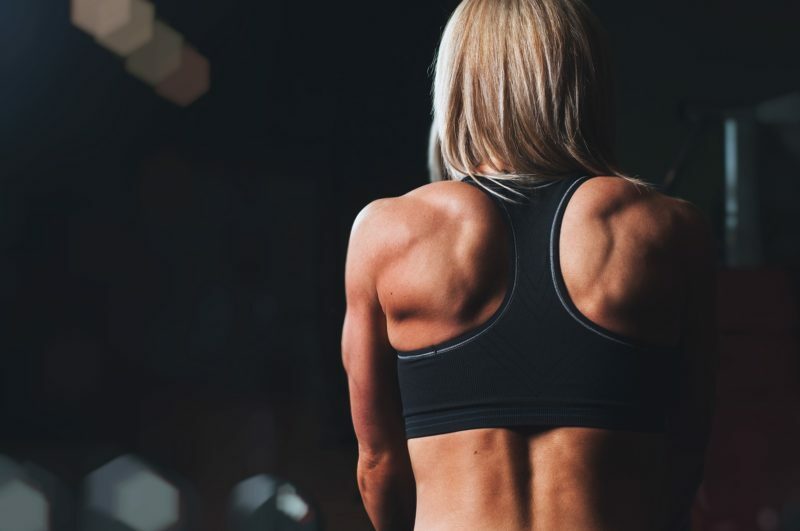 If you’ve ever specifically focused your exercise training on improving your strength, you know it’s not an easy process and one that requires dedication and consistency. Incorporating Blood Flow Restriction training (BFR) has been shown to improve muscle strength, but what is it and how does it work? I introduced BFR a few weeks ago on the blog here. In a nutshell, BRF uses a cuff around the upper arm or leg to partially limit blood flow in and out of the limb while exercise is performed. Now, to gain muscle strength or hypertrophy (size), you need to perform an exercise at greater than 65% of your one repetition maximum (1 rep max). For instance if the maximum amount of weight you can squat for one repetition is say, 200 lbs, than you would need to be squatting more than 65% of that (130+ lbs) to increase muscle strength and size. This applies what we call mechanical stress to the muscle. You can also increase muscle strength and growth by applying metabolic stress through the use of BFR. The buildup of lactate (lactic acid), and hydrogen ions occurs with BFR since blood flow to the limb is partially occluded. These metabolic byproducts stimulate a protein or muscle building response from the body. Lactate and hydrogen ions are normal byproducts of muscle metabolism. Partially occluding blood flow to the limb increases the accumulation and prolongs the exposure to these byproducts. And, a muscle building response is produced without increased mechanical stress to the body. With BFR training, you are performing exercises at 20-30% of your one rep max vs. 65+% with normal resistance training. This aspect of BFR makes it especially valuable to people recovering from orthopedic surgery as it allows them to start developing strength more quickly than with traditional rehabilitation. It also great for people who’s joints can’t tolerate heavy loads. For instance people with osteoarthritis in their knees or hips. With BFR you can lift lighter weights and still get great strength gains. In addition to orthopedic post operative rehabilitation, BFR training has also been used very successfully on patients with tendinopathies (tendonitis), fractures, muscle strains and nerve injuries. If you’re interested in hearing more about Blood Flow Restriction Training, this podcast is a phenomenal summary with Johnny Owens. I’m excited to be offering this treatment here in Bozeman, Montana so contact me at amy@momentumptmt.com if you want to know more about how BFR can help you reach your goals!